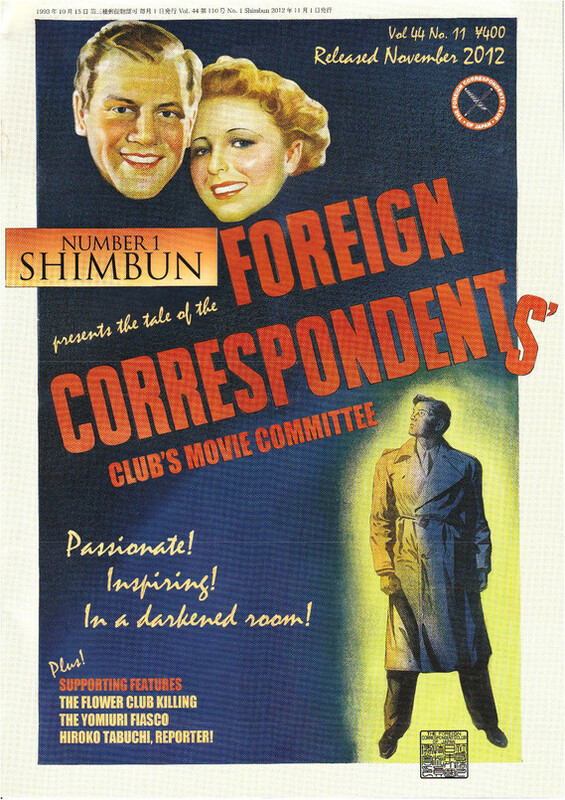 There are times when the Film Committee screens a work whose target audience is not the typical FCCJ demographic. This was one of those times. But considering the dire statistics related to the global film industry — that women never account for more than 20% of the workforce, and that women directors helm an abysmal average of 7 – 10 % of the films made — it felt like the right time to expose attendees to something they wouldn’t normally watch. Aimed squarely at a young, female viewership, 21st Century Girl is an omnibus feature that is (to borrow the producer’s declaration of independence) of the girls, by the girls and for the girls. The work of 15 women directors under the age of 30, each of whom contributed an 8-minute film, the package highlights a range of genres, visions and thematic concerns. The films are all beautifully shot, with top-notch production and costume design, and star some of Japan’s most popular actresses, including Kaho Minami, Ai Hashimoto, Shizuka Ishibashi, Mei Kurokawa, Kiki Sugino, Sairi Itoh and Serena Motola. One need not be young, female or even Japanese to find points of empathy/ports of entry into these deeply-felt short stories, specific as they may be. Many of the 15 emerging writer-directors have already won awards for their short work, have already appeared at Berlin, Cannes and other leading festivals, and have also released features. But none has yet tasted the box-office success that Yamato did with her 2016 release of Drowning Love. Rather than heading instantly into production on her next feature, as hitmakers are prone to do, she decided it was important to first develop and produce an ambitious, female-drive omnibus that would speak to the girls of the future. When she had made the final selection of directors, she then gave them simple instructions. Recalled Yamato, “I requested that they capture a moment in which their sense of sexuality or gender was shaken or had wavered. That was the connecting theme between all the films. I did not give them any input on what kind of stories to tell or characters to depict. Ayaka Kato noted that although there was a unified theme, “Everyone’s films are very different from each other’s. It’s only natural that each film is uniquely the director’s own.” Kato’s film Mucous Membrane opens with a memorable shot of a woman counting the hairs on her lover’s toe in extreme closeup, and focuses on two young women who work in a flower shop, as they deal with their relationships with men and gender expectations. Risa Takeuchi’s own short film, Mirror, concerns the visit of a young woman to the gallery show of a celebrated “lesbian photographer,” who turns out to be her former lover. While it shares the motif of voyeurism with several of the other works, one of its concerns is the boxes that artists are put into, and the lengths they’ll go to create work. Her film Muse depicts a photographer (played by Shizuka Ishibashi of The Tokyo Night Sky is Always the Densest Shade of Blue) who befriends the wife of a famous novelist (Jun Murakami), whose heroines always die young. Before the photographer realizes she’s fallen in love, however, there is a tragedy. And taken all together, that’s the accomplishment of 21st Century Girl: that a whole female, in all her complexity and full of promise, emerges. When Ayaka Kato remarked, “I’d love to see us all come together again in 30 years to make a film about grandmothers of the 21st century,” a substantial portion of the audience nodded and smiled. Yamato mentioned that an article in the Asahi Shimbun last month reported that only 3% of the major films made over the past 20 years in Japan had female directors. So remember these names: Yuka Eda, Momoko Fukuda, Kanae Higashi, Aya Igashi, Yurina Kaneko, Ayaka Kato, Hana Matsumoto, Aimi Natsuto, Yukari Sakamoto, Rin Shuto, Yuka Yasukawa, Risa Takeuchi, Sakura Tamagawa, Yoko Yamanaka, Ū-ki Yamato. They have fully committed to ongoing careers in the film industry, and their time is now. The Film Committee’s annual event in conjunction with the Tokyo International Film Festival (TIFF) did not focus, as it has for the past decade, on the Japanese films in this year’s 31st edition. Instead, two of Japan’s most acclaimed directors, Isao Yukisada (Go, River’s Edge) and Daishi Matsunaga (Pieta in the Toilet, Hanalei Bay), joined us to discuss their participation in the omnibus film project Asian Three-Fold Mirror. A coproduction between the Japan Foundation Asia Center and TIFF, Asian Three-Fold Mirror has twice brought together three young directors from Japan and other Asian countries to co-create omnibus films with a common theme. The first volume, Asian Three-Fold Mirror 2016: Reflections, which included Yukisada’s Pigeon, debuted at the 29th TIFF. On October 26, the second volume, Asian Three-Fold Mirror 2018: Journey, which includes Matsunaga’s Hekishu, will have its world premiere at the 31st TIFF. Hisamatsu also spoke briefly about some of the other highlights at this year’s festival, which runs from October 25 – November 3. Among them is the addition of a Best Director prize in the Japanese Cinema Splash section, which is devoted to indie film and has nurtured the careers of such notable filmmakers are Rikiya Imaizumi, Daigo Matsui, Eiji Uchida and Hirobumi Watanabe. ©2018, ©2016 The Japan Foundation. All Rights Reserved. Following the Asian Three-Fold Mirror screenings, Yukisada and Matsunaga returned to the dais and fielded a range of questions about their omnibus contributions. Matsunaga’s Hekishu is set in Yangon, Myanmar, which is experiencing rapid democratization and urban renewal, although the old cityscape is still prominent, especially around the city’s slow-moving circular railway. A Japanese businessman, Suzuki (Hiroki Hasegawa of Shin Godzilla) arrives to work on the implementation of a new rapid-transit system. Yet, after meeting a Burmese seamstress named Su Su (Nandar Myat Aung), he begins to question just how much progress is actually good for the residents, many of whom will be displaced by the upgrade. Yukisada’s Pigeon is set in Penang, Malaysia, which is home to many Japanese retirees. The story revolves around a lonely old man (acting legend Masahiko Tsugawa) who lives in a spacious house and keeps pigeons on the roof. After his greedy son (Masatoshi Nagase) visits and flies into a rage, the old man grows even closer to his empathetic caregiver, Yasmin (Sharifah Amani). With her help, he is finally able to visit the beach where his brothers were killed during WWII and to make peace with their spirits. A Malaysian journalist lauded Yukisada’ direction, saying that Pigeon felt “very much like a Malaysian, not a Japanese, film.” How, he wondered, did the director write such realistic interactions between the Malaysian characters and direct them to such authentic performances? He couldn’t resist adding, “Also, I must say that Malaysian actors are surprisingly good at pronouncing Japanese as if they understand every line. They all grow up watching Japanese animated shows like Captain Tsubasa, Dragon Ball and Sailor Moon. That’s where the line about Sailor Moon came from. Asian Three-Fold Mirror 2016: Reflections is getting a theatrical release in Tokyo — after 2 years making the rounds of festivals and special events overseas — from October 12-18. Following its world premiere at TIFF, Asian Three-Fold Mirror 2018: Journey will also be theatrically released, from November 9 to 15.